Coffee consumers don’t only want to know the quality of the beans they’re drinking, but the story behind those who farm them and where they came from. Modern coffee consumers have a growing interest in knowing the quality behind the beans they’re drinking. That’s why Bext360 has created a kiosk that reveals to consumers the quality of the beans they’re drinking and gives coffee farmers a better chance at turning a profit. 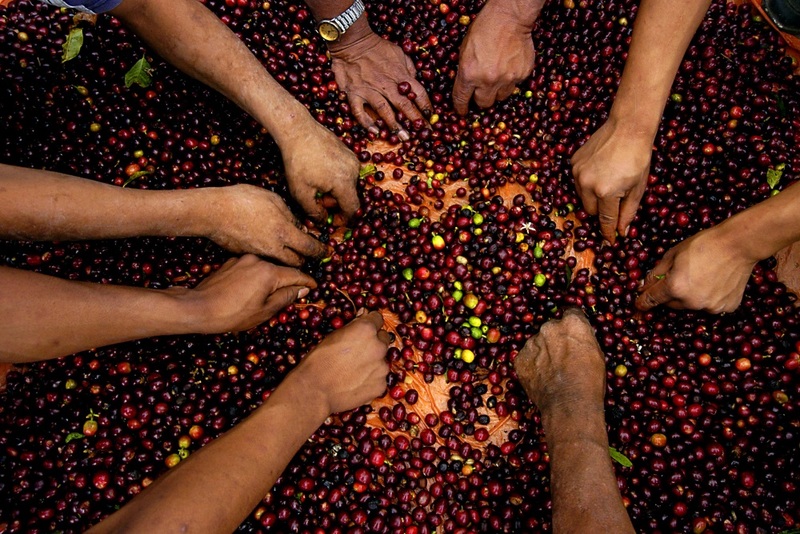 To start, farmers submit a coffee bean’s source: the red or purple fruit from where they come, also known as the cherry. These cherries get deposited into the kiosk, and are then graded using machine vision based on several characteristics, such as color and size. Each kiosk has an internal library analyzing cherry quality. The farmers see the price that gets listed for their respective harvest and can choose to accept it or not. Traditionally, coffee farmers would submit the cherries to middlemen who judge the quality and give the farmers how much they’ve earned without a transparent process dictating the exchange. Fortunately, Bext360 creates a fairer, more open and understandable market for coffee farmers and all others involved in your standard coffee supply chain. Inside each machine lives a software developed by Stellar, a blockchain distribution company, that automatically exchanges currencies between the parties involved via mobile and digital payments. The farmers can use this system to retrieve their earnings from their local bank, and a coffee drinker in San Francisco can know the quality of the coffee they’re drinking from oceans away. Bext360 has their kiosk in the advanced prototype stage with first testing happening this summer in California.